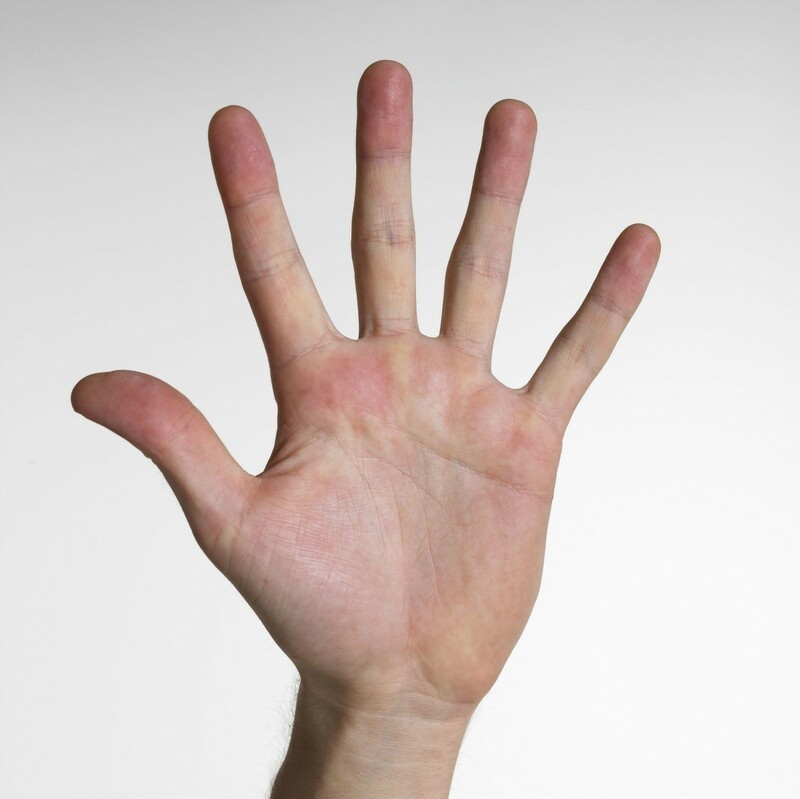 Sweaty palms or palmoplantar hyperhidrosis often begins around 13 and continues throughout life. While embarrassing, medical treatment and self care can help alleviate the symptoms. This is a guide about remedies for sweaty hands. If you have trouble with sweaty palms, a squirt of antiperspirant deodorant to them will help alleviate the problem. My 12-year-old has a problem with sweaty palms and feet. This has been a problem since she was a baby. At 12 she is embarrassed by the problem. She constantly has to wipe her hands while writing, drawing, using the computer, etc. She is unable to wear most sandals and some styles of shoes because of the build up of moisture on her soles. Does anyone have a solution to her problem? I googled this condition and found a sort of anti perspirant for the hands that might help her out. It's called Drysol. Here is a link you can cut and paste. i also have extemely sweaty hands and feet. yes i was always embarrassed. i have used a product that was supposed to keep them dry. i found them scaly and when lotion would get on them i was so slippery. it was a feeling that is undescribeable. i would have a hard time washing it off. i now use a lot of powder all over my body: as i sweat profusely. I sweat a lot in the summer and what I usually do is first get a good antibacterial soap and then usually dust with perfumed talc or cornstrach babypowder . I also have to use the doctor scholl's foot insoles. Also, there are anti-perspirants for feet . hope this helps! I use cornstarch baby powder in my shoes and has helped immensely. My daugther has the same problem and I talked to the doctor he told her to use hand santizer. I don't know why but it really works better than baby powder. I use Drysol. I received a prescription from my doctor. I only use it on my hands. I am a banker and it is embarassing to shake someone's hand when your is sweaty. I dont think your doctor would recommend to use it both on your hands and feet. Your body still needs to sweat...if it isnt coming out of your palms or feet, it has to come from somewhere! Good Luck! I suffered with this for my whole life also...Drysol has made a HUGE improvement! There are oral medications that may help but have the unfortunate side effects of sedation and very dry mouth. I would advise you to take your daughter to a dermatologist who will discuss your treatment options. The drysol really works better on axillary wetness. It is a condition that you live with or get surgery. This is the main ingredient for antiperspirants. Long before Drysol, my doctor had a pharmacy dispense some. It did not work! There is a surgery if this is unbearable ... otherwise live with it! That said, the thought of surgery scares the daylights out of me and that is a choice that you & your sweet girl & her doc will have to decide on. I don't know of any other effective treatments that do not have unpleasant side effects (someone else mentioned dry mouth and sedation...ick!) Good luck! My husband has this same problem and I had never heard of anyone having this before until reading this forum. I didn't know anything could be done about it. I shall suggest Dysol to him...hand sanitizer too. I love to hold hands but his are so ikky and sweaty. SAD. I heard on the radio the other day that there is a new botox treatment for this condition. The report said that it is very effective. Might be worth checking with your doctor. I have the same problem since my childhood i used many medecin like droyclor and others and have mate numbers of doctor english and homophatic. but all are useless. Does any one have a solution of my complex. Yes i know how you all feel my 12 year old daughter has the exact same problem as yours she is always complaining about them her feet are also sweaty as well she has to take a dance class and hold hands with alot of people and it can be very embarrasing for her could anyone please tell me some soultions to get rid of this without having to get surgery? i have the worse sweaty hands problem! one time i had to hold hands with a boy at church in a prayer and my hands were dripping with sweat! there was literally a puddle underneath! i felt so bad for him! i was soo embarrassed! yea it is not fun. my hands are dripping just typing this up...why they heck do they do that? It can mean that you have "high acid" in your system, ask your doctor if watching what you eat or drink, makes a difference. My hands sweat way too much and no one understands the problem unless they go through it. I would really appreciate it if you guys could give me some helpful suggestions that stop sweaty hands permanently. I know a lot of you guys ask questions like this, so please reply asap. Thanks! What are the best solutions to help an 8 year old with excessively sweaty hands?